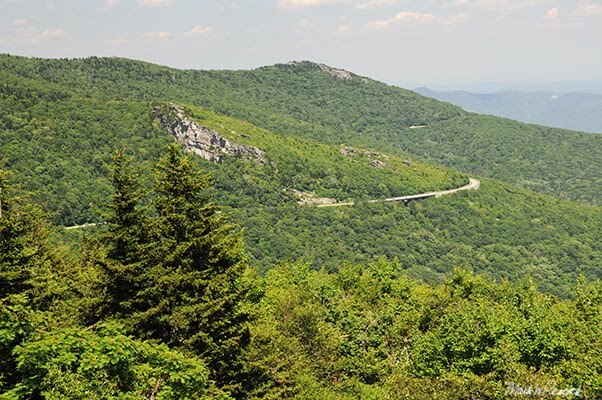 This one mile hike at Grandfather Mountain offers spectacular views in all directions from an enormous boulder known as Black Rock. The hike itself is an easy one mile self-guided nature walk culminating in panoramic views in all directions including Grandfather Mountain, Grandmother Mountain, Beacon Heights and Rough Ridge. The rocky, but relatively flat trail begins at the Hiker's Parking Area, passes by another natural feature known as Arch Rock and includes a number of very interesting markers which describe the various natural wonder s found along the way. At the end of the trail, there is a loop, turn to the right and you'll come to a smaller outcropping, continue on in a counter-clockwise fashion and you'll arrive at the main attraction. A short ladder and helpful rope lead to the top of Black Rock and some spectacular views. 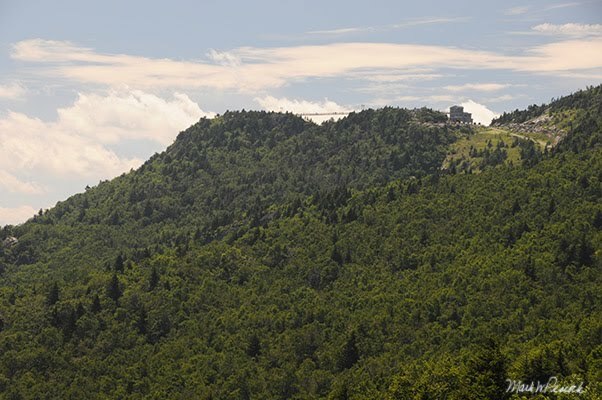 The panoramic photo above is made up of five images stitched together of Grandfather Mountain taken from Black Rock. 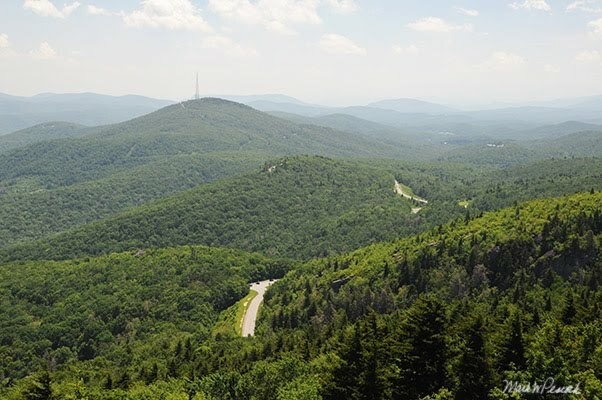 The first thumbnail photo (top right) shows the Mile-High Swinging Bridge, the second one is of Grandmother Mountain, and the third photo shows the Blue Ridge Parkway as it makes its way around Rough Ridge (click photos to enlarge). 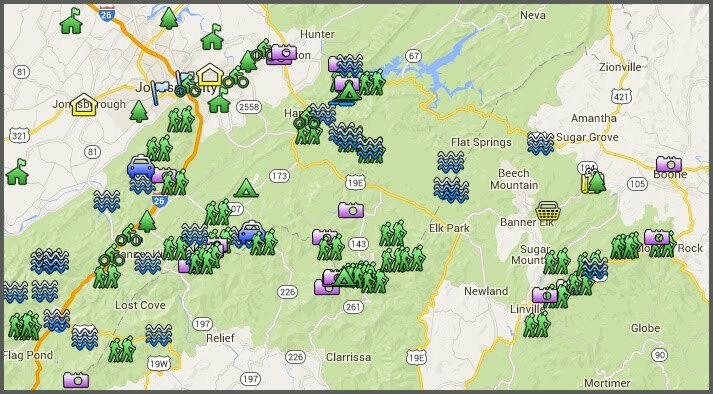 For more information and a trail map, click here. I would not call this an easy trail...more like moderate. If you know that ahead of time, you can better match it to your abilities.